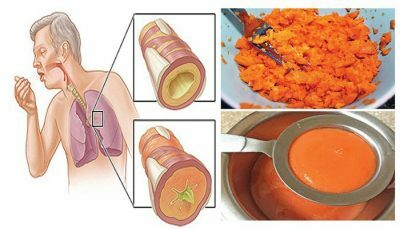 This remedy is efficient in treating mucus and coughing. Made of organic ingredients and has no side effects. Unlike prescribed medications, this solution is much more safer for everyone. NOTE: It is advised you use fresh carrots to attain optimal results. Peel carrots, then boil until soft. Preserve the liquid they were boiled in. Add boiled water with carrots and honey to blender; Blend until smooth. Pour the mixture into a glass container, then store it in a fridge. It is highly suggested you consume 3 tbsp daily of this solution to see improvements within 2 days.